This package include two companion CDs, one featuring full performances and the other, piano accompaniments. The CDs work in all CD players but are also enhanced CD-ROMs with tempo adjustment software that will work in all PCs and Macintosh computers. 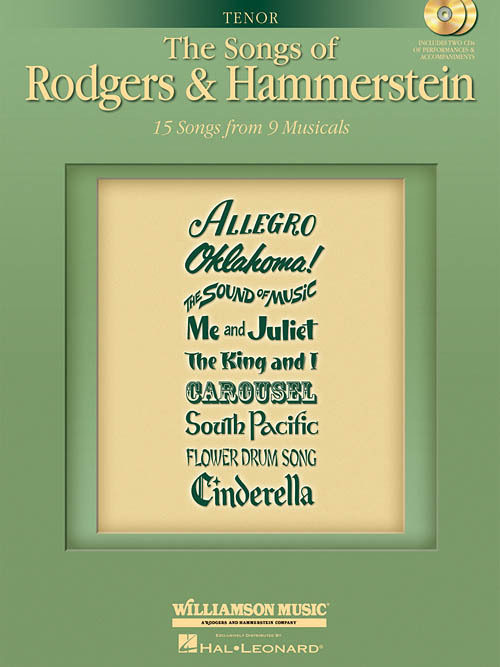 The book includes information on each show as well as a plot note for each song and biographical information on Rodgers and Hammerstein.